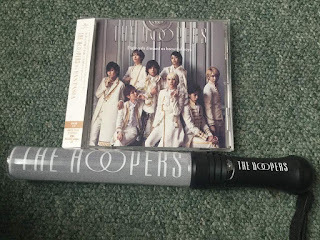 Last year I was lucky enough to be able to see THE HOOPERS live and also meet them afterwards at Hyper Japan Christmas Market. 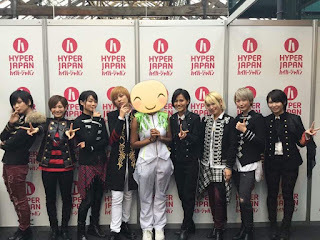 Since this year's Hyper Japan Christmas Market is coming up I thought now would be a good time to share my experience. I won't be attending the event this year mainly due to the fact that there aren't really artists I'm interested in performing but you best believe I'll be spamming their feedback form with requests as always, haha. 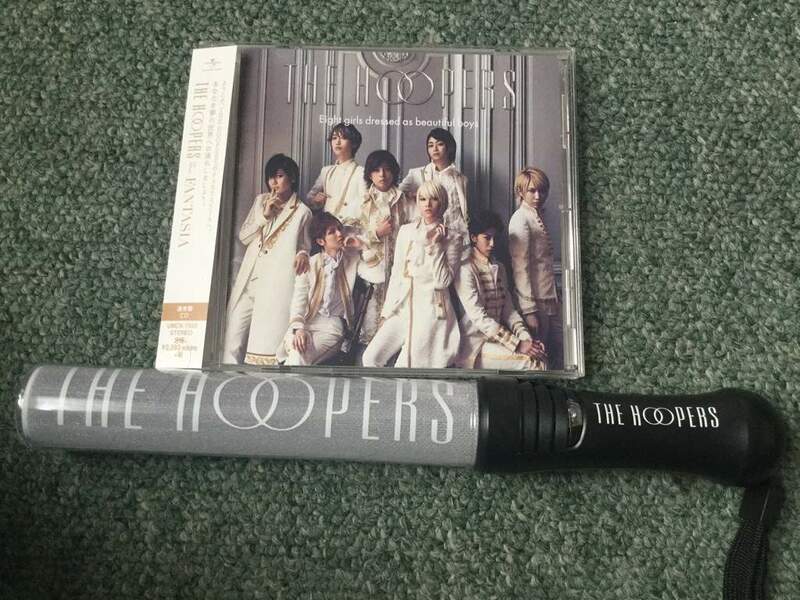 I'd bought THE HOOPERS' penlight and album especially for the event. I also slaved in front of my TV screen for many days watching their concerts to get the hang of the wotagei routines, haha. Turns out they weren't signing though so I wasn't able to get my CD signed but it was still awesome to have it and I would have bought it anyway. A slightly unrelated note but this is one of the main problems I have with Hyper Japan; they don't announce things such as whether an artist will be signing or whether they have a rule against taking photos or anything like that before the event so we can be prepared and it often causes problems on the day. I was kind of confused at the fan meet and the staff weren't very helpful but anyway, enough of my ranting. I was reasonably close to the stage so the members could see me and they even smiled and waved at me a few times. There were a lot of people with penlights and doing wotagei this time which I was happy to see; I've been to performances at HJ before where everyone just looked unenthusiastic. After the performance was the meet and greet and I bought a towel and a hair scrunchie. Then I got to take a photo with them. I was cosplaying as Aijima Cecil from Uta no Prince-sama and when I was walking up they all recognised who I was dressed as and shouted "CECIL!" at me. Then one of the members (who's also called Cecil and my favourite member as well) said, "it's me." in English. She was so cute! The costume I was wearing was pretty similar to their costumes so I sometimes joke that I became an "hononary member" of THE HOOPERS, haha. I happened to bump into them again later when they were leaving the convention. Cecil noticed me and said bye to me. 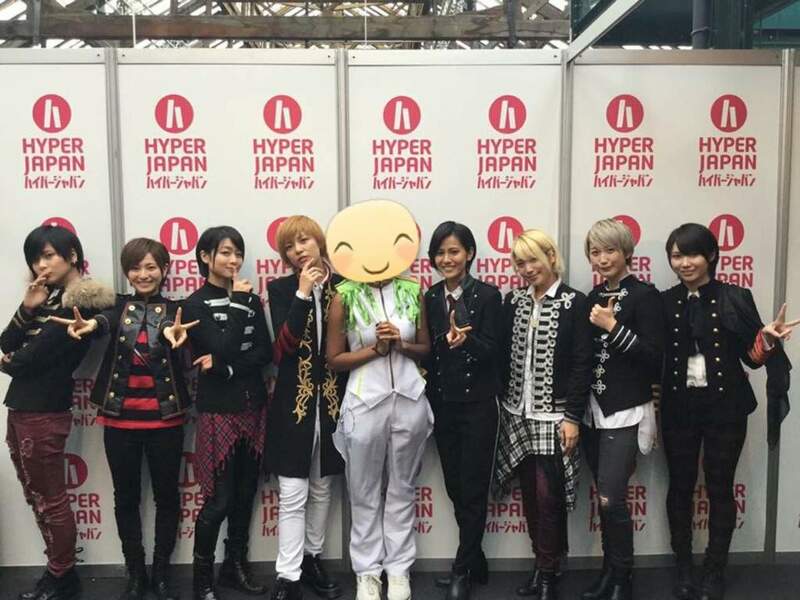 This is one of my most precious memories related to Jpop and I hope to be able to meet even more artists both in my home country and when I eventually travel to Japan. Do you have any fond memories related to Jpop? But surprisingly I like their MV and I especially like their 1st single! Their performance is really amazing and cool! I don't blame you for mistaking them for boys. Makoto does look a bit like Kengo, haha.